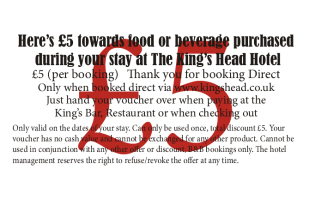 The King’s Head Hotel has fifteen rooms. 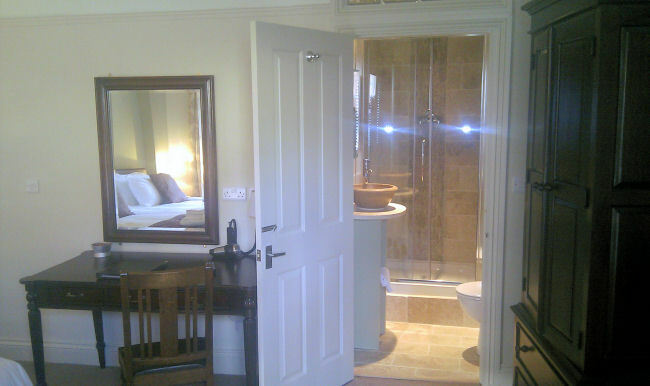 Each have full en-suite with either shower over bath or walk in shower. 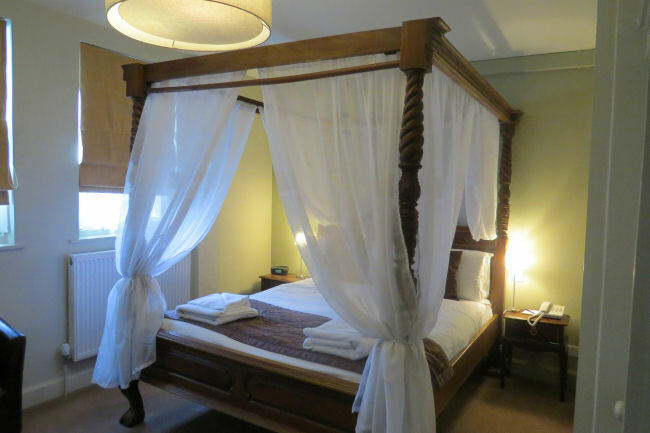 Four poster, double, family, triple and twin rooms are available. 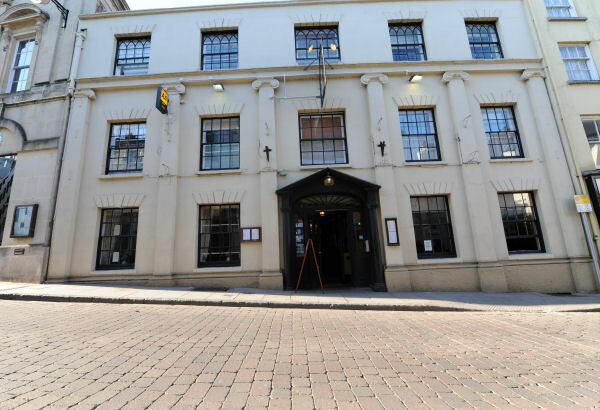 The King’s Head Hotel is an AA graded 3 Star Hotel and is a grade 2 listed building. The original winding stairs date from the Queen Anne period. All of our bedrooms are either on the first or second floor. Unfortunately, we do not have a lift. Therefore please inform us, when booking, if you find climbing stairs difficult. 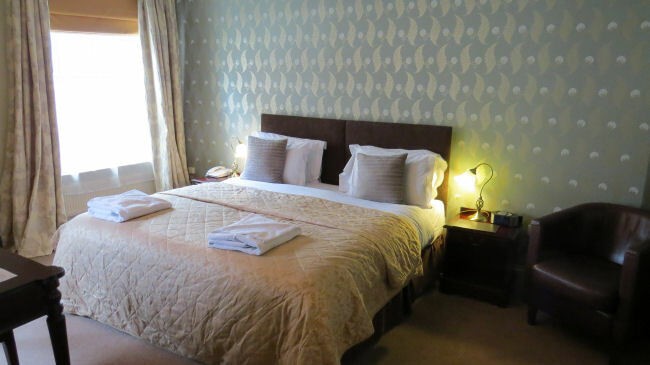 All our rooms have tea and coffee trays, biscuits, complimentary filtered water, direct dial access telephones and flat-screen Freeview television. 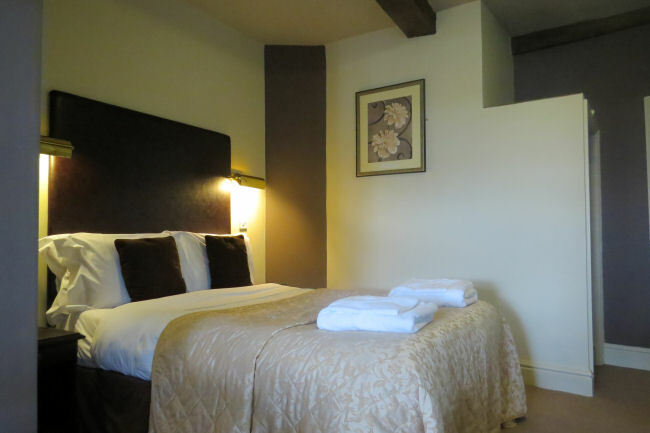 Our superior rooms are larger and have DAB i-pod docking radios. Wireless internet is available and is free of charge; coverage extends to most of the hotel. The hotel has its own car park which is accessed via High Street. The car park is free to residents, holds around 18 cars and operates on a first come basis. There is no facility to reserve a place. Larger cars will find it easier to access our car park by approaching via Palace Pound. The car park entrance is through an archway, approximately 2.8m high and 2.8m wide. There is also a public car park on New Street, which has pedestrian access to our car park. We can securely store cycles for you, with prior notice. Check In and Check out Times: Normal check in time is between 2.30pm and 10.30 pm. Check out time is 11 am. Checking in early or checking out late may not be always possible and can incur a fee. Please ask if you require either service. We are dog friendly and most of our rooms can be booked to stay with your pooch. Please inform us if you plan to bring a dog. 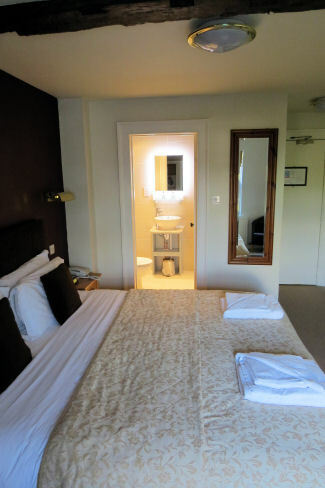 We would recommend our larger rooms for more comfort. The bar and library are also dog friendly. The library is an ideal place to have breakfast or an evening meal with your doggie. Again, please advise us if you wish to dine with your pet. 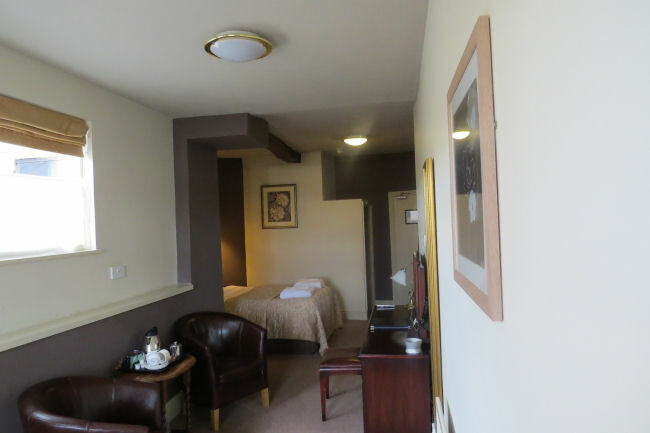 A small double en-suite room, normally let as a single. Shower over bath. 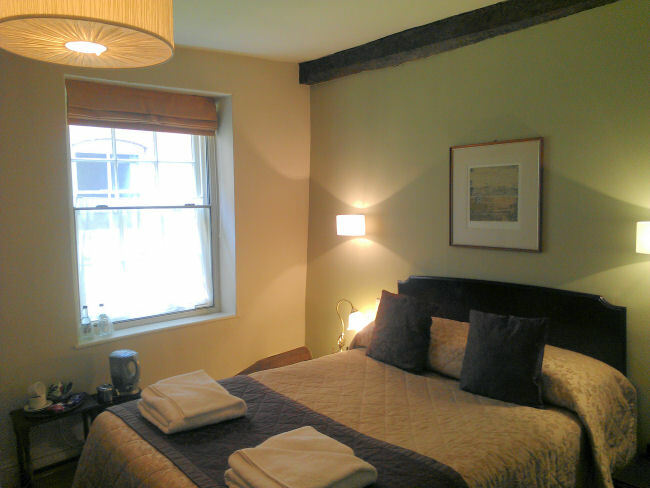 We have four standard size double rooms, two with walk in shower en-suites and two with a shower over bath. 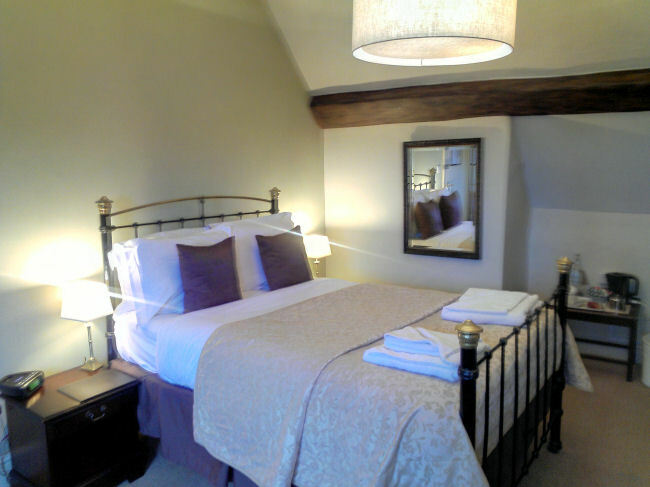 These cosy double rooms are all on the second floor of the hotel. Be sure to request a first floor room if you have difficulty with stairs. Standard King Size Double/Twin en suite. 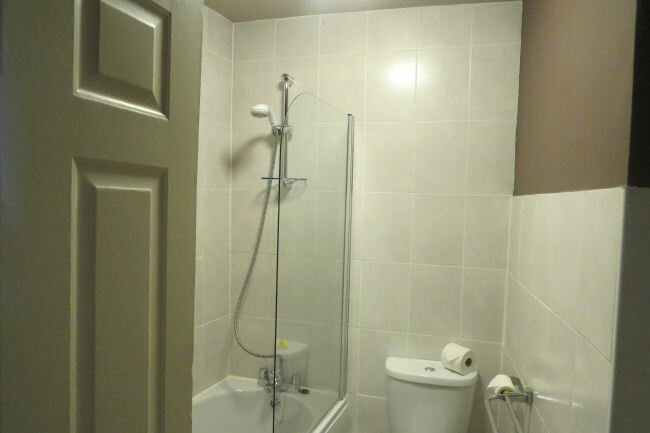 En-suite with shower over bath. Set as a king size double, please advise 12 hours before arrival if you wish a twin. A quiet room at the rear of the hotel. 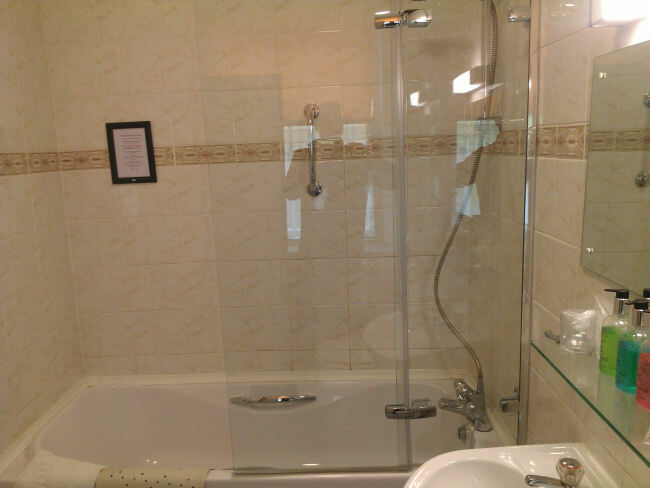 En-suite is set for refurbishment in 2014. 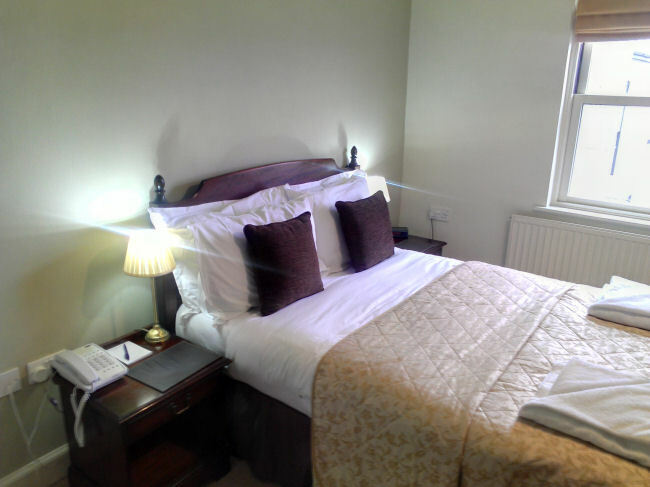 Double bedded room with an extra single bed. On the first floor at the rear of the hotel. 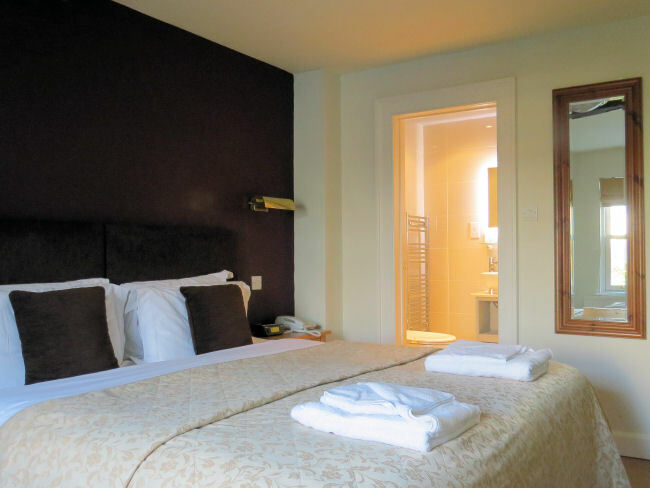 Our five "Superior king size rooms" are our largest rooms with a little extra comfort. Set as either a king size double or as a twin (two single beds). Please advise 12 hours before arrival if you require your room to be set as a twin. 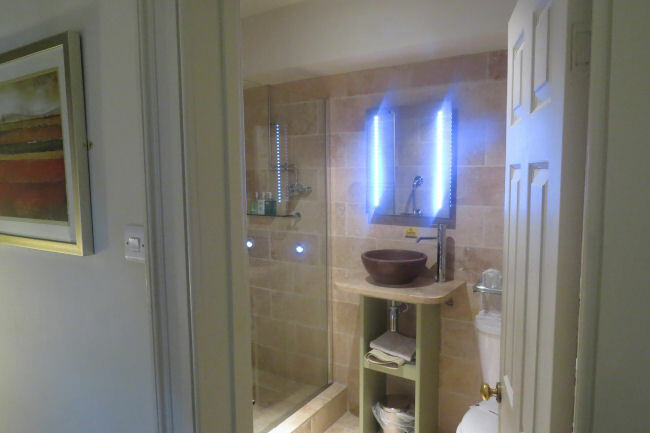 Three rooms have en suites with power showers. The other two have a shower over bath configuration. Complementary filtered water, tea/ coffee facilities, Isle of Arran toiletries, flat screen television and DAB radio with i-pod dock. On first floor at the rear of the hotel. 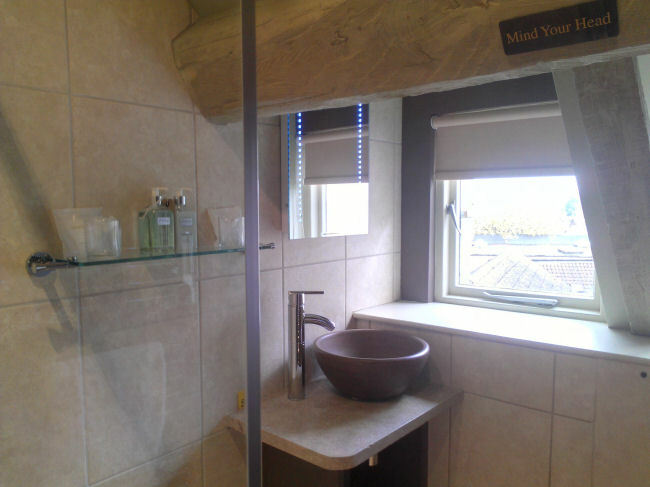 Power shower in fully refurbished travertine en-suite. 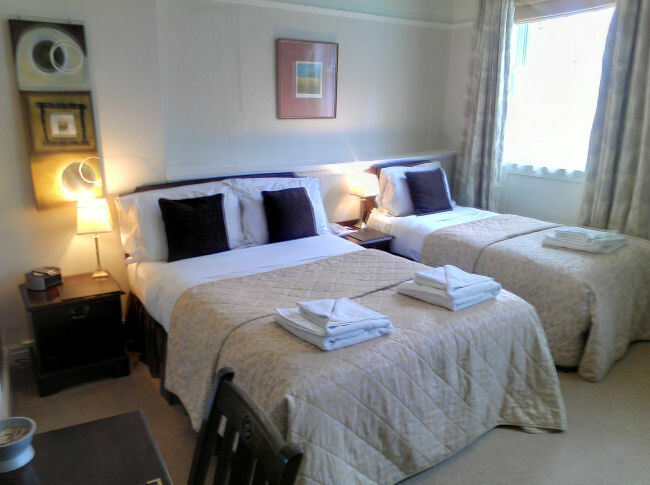 A double bed in one room and then two single beds in a connecting room. Can be let for just two adults. 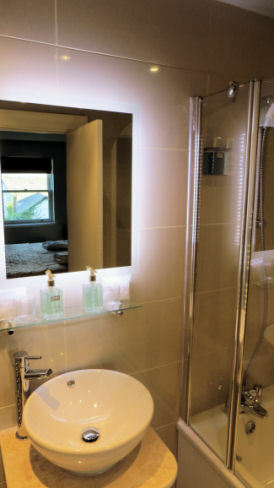 Refurbished en suite with walk in power shower. Family room is on the second floor at the rear of the hotel. So nice and quiet but not ideal if you struggle with stairs. The King`s Head is a grade two listed building. 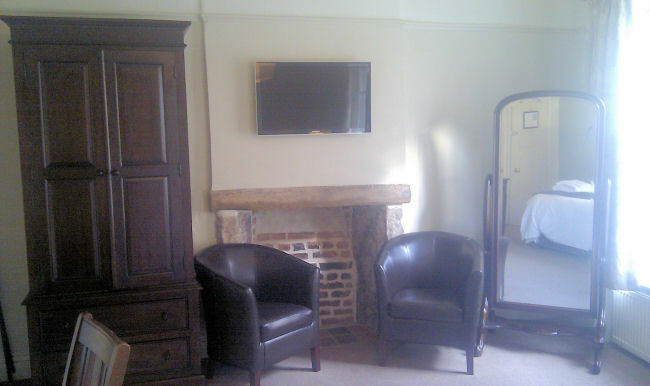 Unfortunately being an historic Inn, built several centuries ago, little thought was put into at the time in making the building accessible for people with disabilities. Whilst we would like to install lifts and wheelchair accessible toilets in the future, the physical nature of the building and the prohibitive costs involved make it currently impossible.